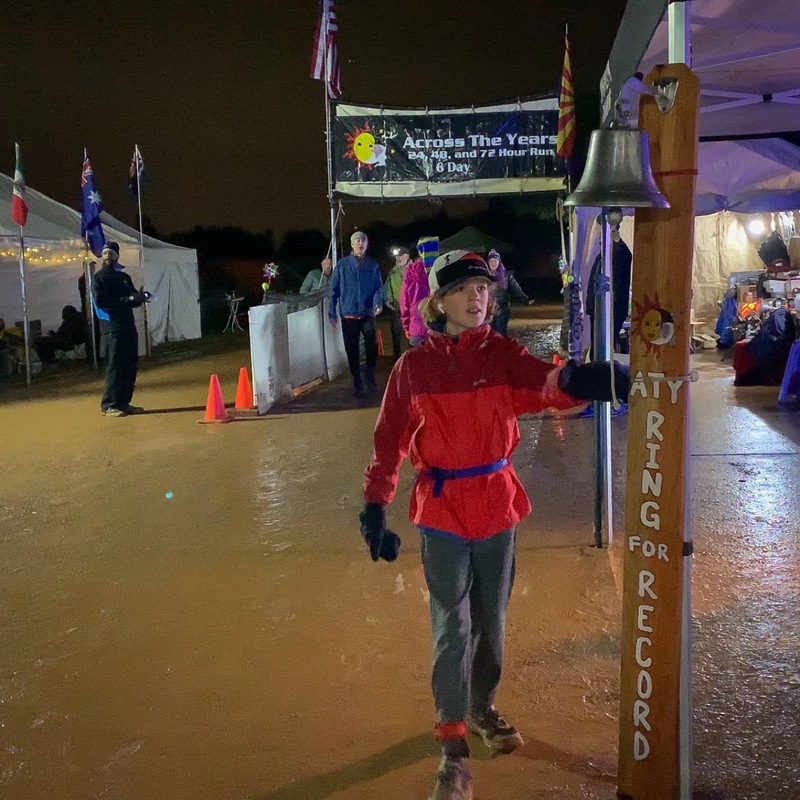 Will (standing in solid mud from a day long rain) rings the bell at #acrosstheyears after setting a new personal record of 37 miles. After 12 hours on course he’s now sleeping soundly. Meanwhile, Melissa has just passed 100 km.